Hedge fund managers Carl Icahn and Darwin Deason demanded on Monday that Xerox explore strategic options and said they would join forces to elect four new members to the board, sending the company's shares higher. 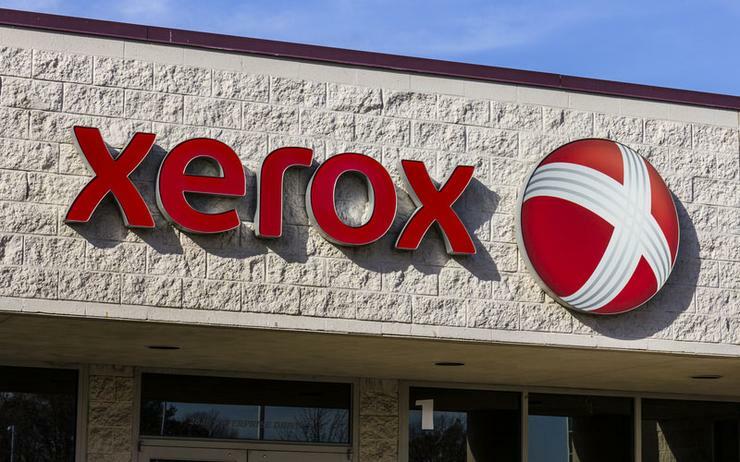 Icahn and Deason, who together own over 15 per cent of Xerox, last week separately called on the company to break off or renegotiate its joint venture with Fujifilm Holdings Corp, saying it was unfavourable to the US company. "Board of directors and management are confident with the strategic direction in which the company is heading and we will continue to take action to achieve our common goal of creating value for all Xerox shareholders," Xerox said in a statement to Reuters, without commenting on Icahn's letter to shareholders. In Monday's letter, Icahn reiterated his demands for a renegotiation or termination of the Xerox-Fujifilm JV and the replacement of Xerox CEO Jeff Jacobson. Declining demand for office printing has limited the growth prospects of the 50-year-old JV, which is 75 per cent owned Fujifilm and accounts for nearly half of its overall operating profit. Icahn said if Xerox is exploring a deal with Fuji that may result in a change of control of the company, Jacobson should not lead the negotiations as he is "neither qualified nor capable". "Jeff Jacobson, a member of the Xerox "old guard," is incapable of creating long-term value for Xerox shareholders and should be replaced immediately," Icahn wrote. Jacobson took over as Xerox's CEO in January last year following the split of the company into two - one holding its legacy printer operations and the other its business process outsourcing unit. After it decided to split itself, Xerox's board, which consists of 10 members, added three new members, excluding Jacobson. Calling for the replacement of the Xerox's long-serving directors who are unwilling to take tough decisions, Icahn said in the letter that it was necessary to prevent "the Xerox ship from sinking". Three directors have been on the photocopier's board for more than a decade. Eighty one-year old Icahn's interest to Xerox dates back to 2015, when he disclosed his stake in the company and called the shares "undervalued". The Wall Street Journal reported on Sunday Icahn and Deason - respectively the biggest- and the third-biggest shareholders in Xerox - were pushing the company's board to consider options, including a sale of the firm. Shares of Norwalk, Connecticut-based Xerox rose as much as four per cent to US$33.03 on NYSE within the first 30 minutes of market open. The shares later on pared some gains and were trading at US$32.42, up two per cent.